A creamy, moisturizing shampoo designed to help control scalp flaking, scaling and itching with 1% pyrithione zinc content. 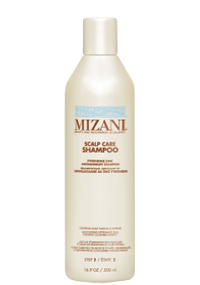 The Scalp Care Shampoo thoroughly cleanses the hair and scalp removing excess bacteria that causes flaking and scaling. A rich, luxurious conditioner designed to help control scalp flaking, scaling and itching with 1% pyrithione zinc content. The Scalp Care Conditioner restores moisture balance to hair and scalp and continues to deliver dandruff fighting active ingredients.